I have no idea why they are that small. Yes, they're definitely proportionate for the teeny tiny vanity that they belong on, but come on. 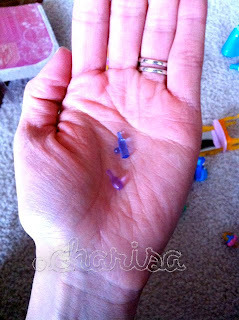 What child can keep track of toys that are a bit bigger than a grain of rice? And since I'm a bit new to The Princess Regime, what's Princess Aurora's story? She's known as Aurora. And Briar Rose. And Sleeping Beauty. Any other aliases? Is she on the lam? 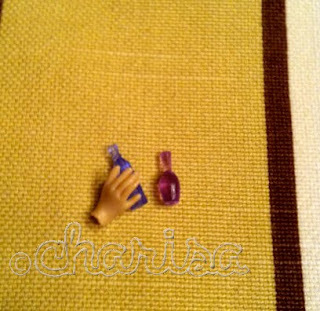 This is Princess Ariel's hand. I'm laughing so hard right now! I totally forgot about that. I'm going to start calling her Merris from now on! What's going on that playroom?!? that would be the first thing i step on when i would decide to go slipper-less in the house.